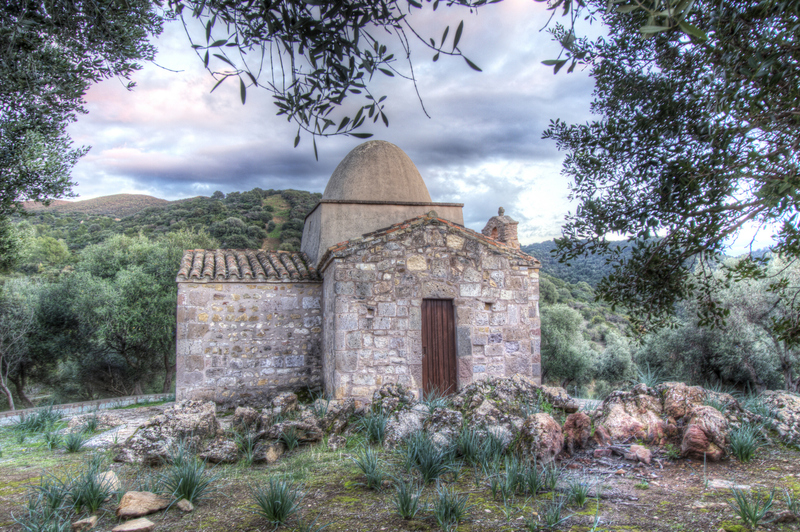 One of the oldest and most important early Christian cult buildings in Sardinia, it lies in Nuxis, a small town in the small town of Sulcis, in the south-west part of the island. Emerging in the valley crossed by the Rio Tattinu at the foot of Monte Tamara is an area inhabited since prehistoric times that has long been exploited for its mineral resources. It was a place of worship as early as the Nuragic age, as evidenced by the discovery of the sacred well of Tattinu, with the adjoining Nuragic village (11th century BC). The Church of Sant’Elia stands in the countryside of Nuxis, a small town in the lower Sulcis (a municipality since 1957). 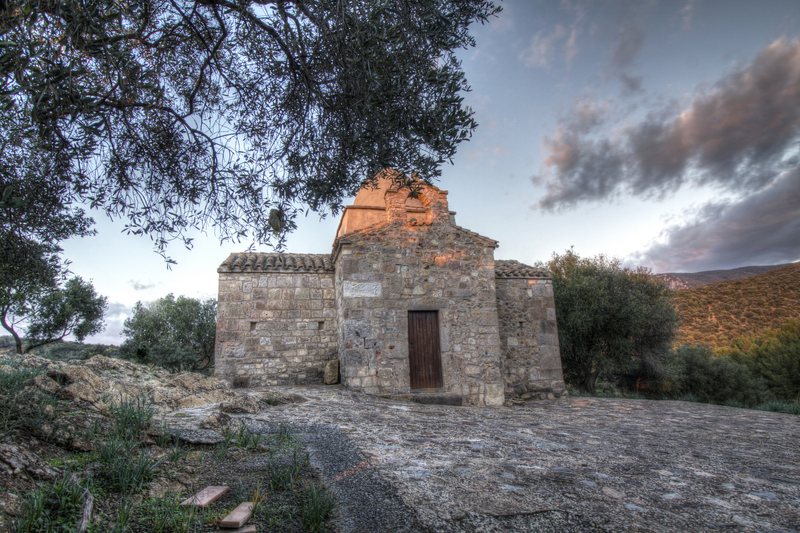 Built around the year one thousand, it dates back to the Byzantine era and is one of the early Christian sacred buildings of greatest interest in Sardinia. 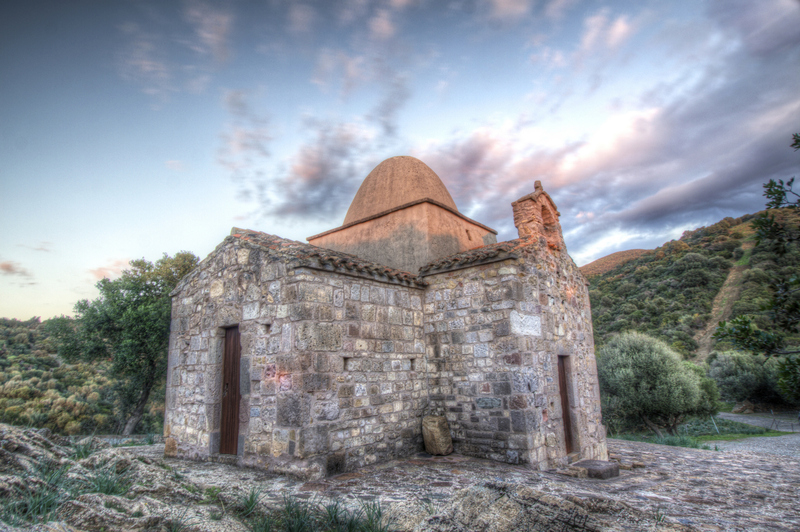 Characteristic are its very small dimensions (ten metres in length and nine in width), typical of the churches built in Sardinia in the second half of the first millennium AD, in the early Christian era. Some other examples are the Basilica di San Saturnino in Cagliari and the Martirium di Sant’Antioco. The layout is a Greek cross with four equal wings, whose cross is surmounted by a ‘pseudo-drum’, a quadrangular dome covered by a hemispherical dome, not the original one (which collapsed) but one rebuilt in the 20th century. The wings are barrel-vaulted and covered externally by a double-sloped tiled roof. The perimetric walls are characterised by the irregularity of the sections - only the blocks on the edges are nicely carved, properly squared and well-arranged. A frame of protruding slabs, set under the sloping roof, runs along the entire perimeter, being the only decoration in a context of extreme simplicity that also characterises the interior of the building. The central architraved entrance opens onto the east-facing façade and is surmounted by a small gabled bell tower. Following its restoration, in order to appreciate all the original forms of Sant’Elia in Tattinu, there are black and white photographs showing the walls of the structure comprised of square blocks at the corners of the building and infills in a mix of smaller stones. 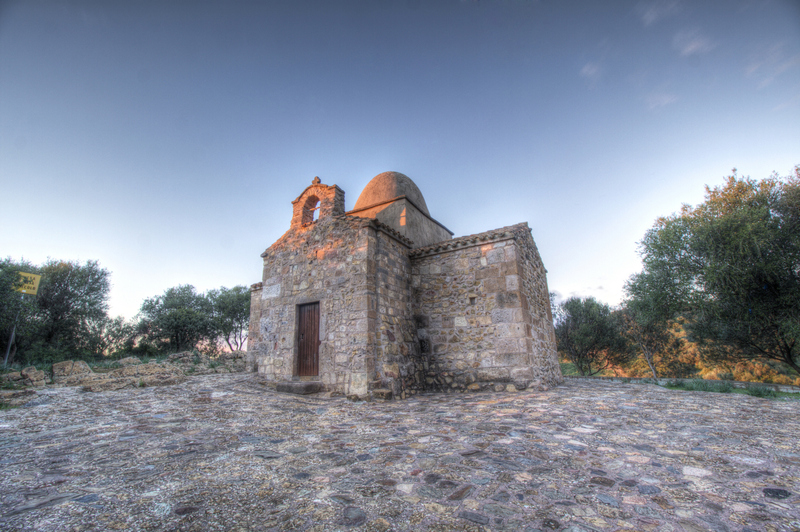 The church is a destination point for devotees on the occasion of the feast honouring the saint, a point of reference of Nuxis (whose name derives from the presence of numerous walnut trees in the past), a village suspended between the remains of its past, remnants which date back to Neolithic times (like the necropolis of the Monte Claro culture) and industrial archaeology, the result of the mining era.